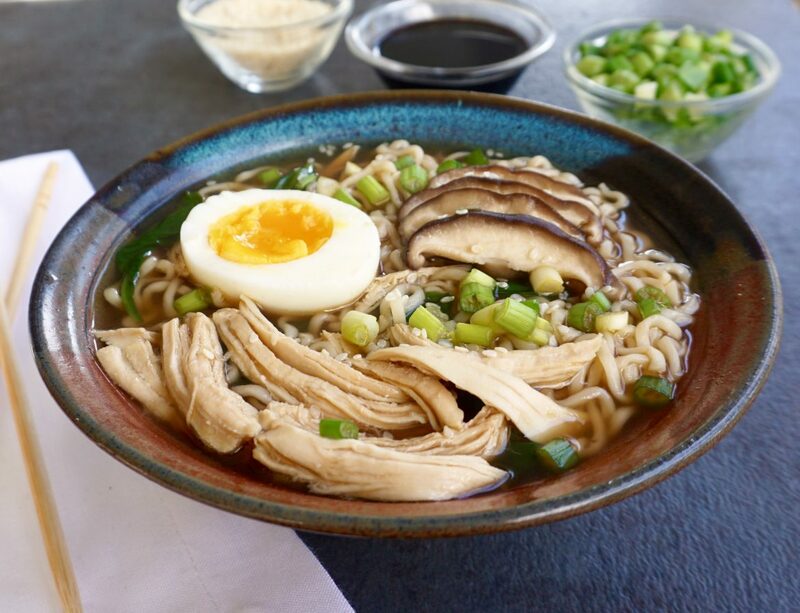 Chicken Ramen is something you should try if you have never made it before. 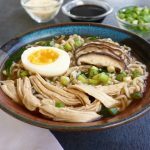 It has a flavorful broth made with chicken stock, sesame and chili oils, soy sauce, ginger and garlic. There are veggies as well as chicken and ramen so it really is a complete meal. 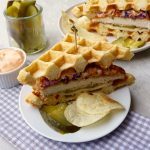 The best part is that it is easy to make in about 30 minutes. 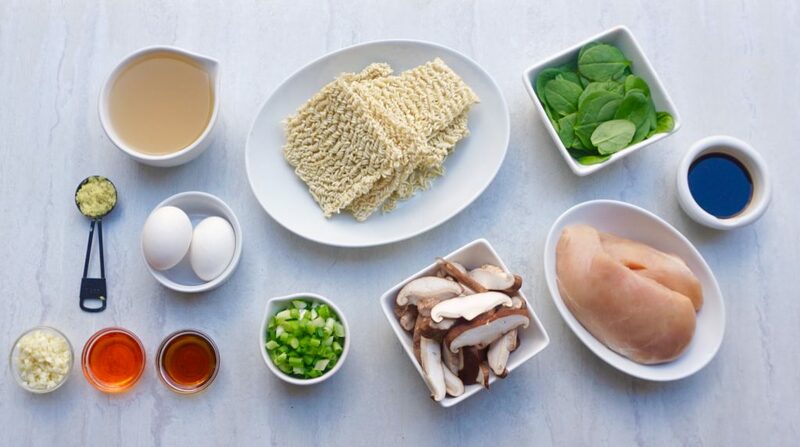 If you like the idea of an Asian inspired noodle bowl, Chicken Ramen is for you. 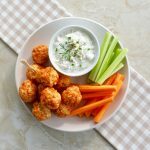 There is not too much work involved here and you could simplify the recipe even further if you want and use rotisserie chicken. Just make sure you don’t leave off the Ramen egg! Follow the cooking directions below and you will have the perfect, bright, soft, but not runny egg. It makes a beautiful color pop in the bowl! Fill a small saucepan with water and bring to a boil. Add the eggs and cook for exactly 7 minutes. Remove from pan and put into a bowl filled with water and ice to stop the cooking process. Add the chicken to a small saucepan and cover with water. Bring to a boil. Reduce the heat to a simmer and cook for 7-10 minutes until the chicken is cooked all the way through. Remove from the water and shred with a fork. Fill a large pot with water and bring to a boil. Add the ramen and cook for 2-3 minutes until tender. Drain and rinse under cold water to stop the cooking process. Add the chili oil and sesame oil to a large saucepan. Heat over medium low heat. Add the ginger and garlic and cook for 2- 3 minutes until they start to soften. Add the chicken broth, and soy sauce and simmer for 5 minutes. Add the chicken and mushrooms and simmer for 5 minutes. Add the spinach and cook until it wilts, about 1 minute. Add the ramen noodles and green onions and heat through. Peel the eggs and slice each one in half. 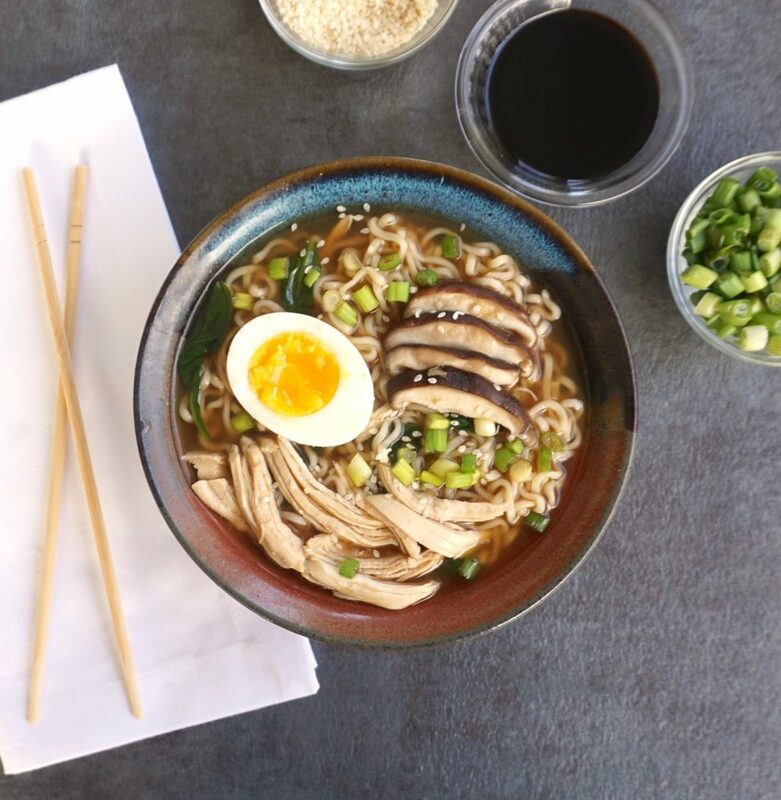 Place the ramen into serving bowls and garnish each bowl with ½ cooked egg. If you do not serve this at once, you may need more chicken broth when you reheat it as the Ramen noodles absorb broth while sitting.